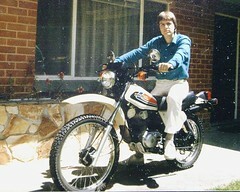 Rod began riding motorcycles well before he learned to drive. In fact, when he was just 11 years old. 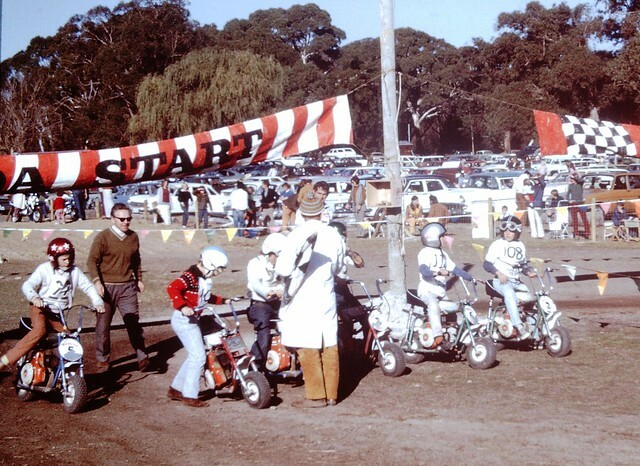 His uncle began importing the Deltek brand of minibike into Australia and Rod joined his cousins in the Deltek Minibike Racing Team competing at Silver Lake and Lonsdale near Adelaide. When he could ride legally on the road, he would disappear with mates, exploring the network of fire trails throughout the Mount Lofty Ranges on rough trail-bikes, manhauling bikes out of creeks and having his face slapped by twigs and branches on the narrow paths. During his time in Sydney, he voluntarily 'retired' from motorcycles for a few years, returning to the saddle when he'd learned some self-preservation skills and exhausted his scant disposable income racing cars. 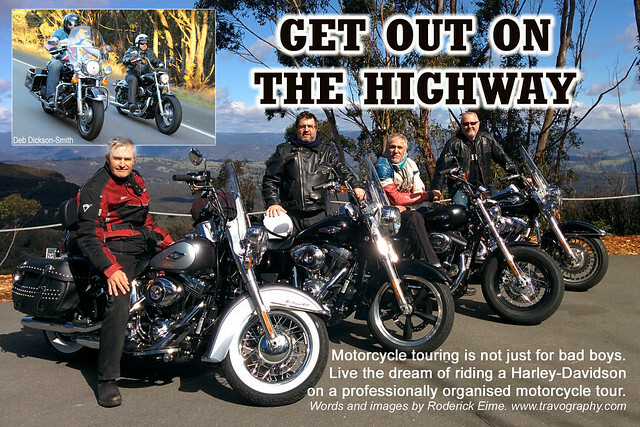 No longer intimidated by the brutish Harley-Davidsons and other big cruisers like Indian and Victory, he is happily cruising the highways filing motorcycle travel stories and the occasional review for popular media and websites. Gentlemen, pull your zip-starts. Rod (108) on his Deltek in pole position for the start of the mini-bike final. Mylor 1973. View some of Rod's recent motorcycle work.